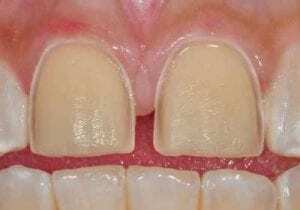 Why Does an Overbite Prevent Me From Getting Porcelain Veneers? Can you help me understand something? 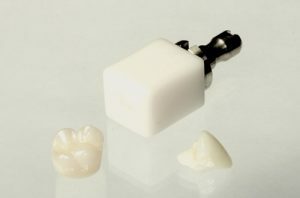 I really wanted to have porcelain veneers placed, but my dentist said because I have an overbite, I’d have to get crowns. He wants to place six porcelain crowns on my front teeth. Is there another option? Also, if I go with the crowns, do I whiten my bottom teeth? 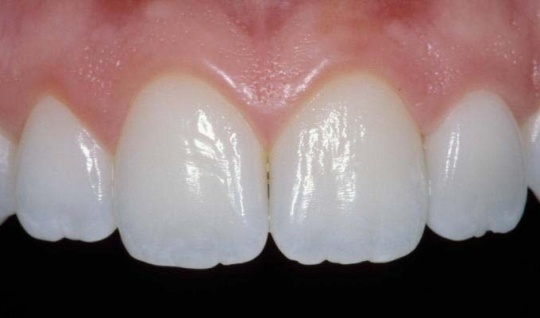 Both arches have tetracycline stains. I’m very glad you wrote before moving forward with this procedure. It sounds like you went to your family dentist instead of someone with expertise in cosmetic work, and he’s not as comfortable with doing advanced cosmetic procedures. Rather than admit that, he came up with a rather creative (though completely untrue) excuse for why you can’t have it. Then recommended porcelain crowns because he is comfortable doing that. 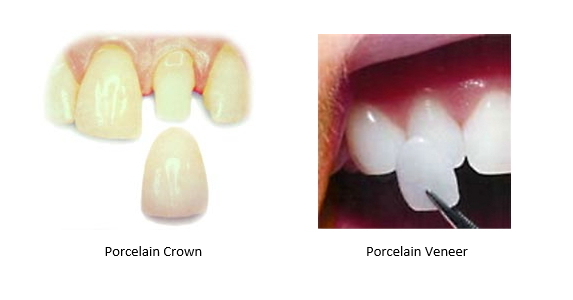 Porcelain veneers are actually a better solution for an overbite. Crowns have to grind down your teeth. Porcelain veneers do not. Why would you want to grind down healthy tooth structure? In fact, the two pictures below will demonstrate the difference in preparing for the two procedures. 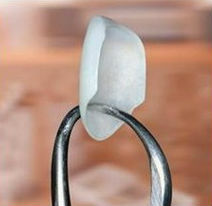 As you can see, you save much more tooth structure with porcelain veneers. Another thing to consider is the number of crowns he said to get because it’s equally applicable to porcelain veneers. Six is not enough. Most smiles show between eight and ten teeth. Some wider smile show even more. Take a close look at your teeth when you’re smiling broadly. How many are visible? You want each visible tooth covered. 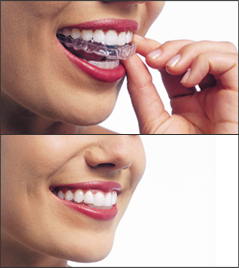 So, who should you have do this smile makeover? Your particular case is especially advanced. 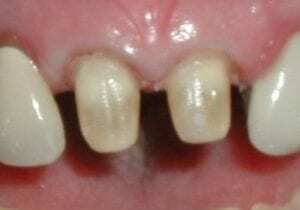 Tetracycline stains are among the most difficult to deal with. You need an expert cosmetic dentist. In your position, I’d look for a dentist who’s accredited with the American Academy of Cosmetic Dentistry (aacd.org). Bear in mind accreditation is very different from membership. Any dentist can be a member. Accreditation requires a great deal of knowledge, skill, and artistry. 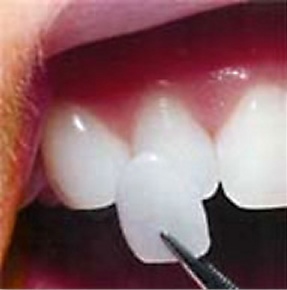 Your bottom arch can be whitened. Traditionally, teeth whitening isn’t the ideal for tetracycline stains, but if your dentist uses KöR Whitening, you should get decent results.